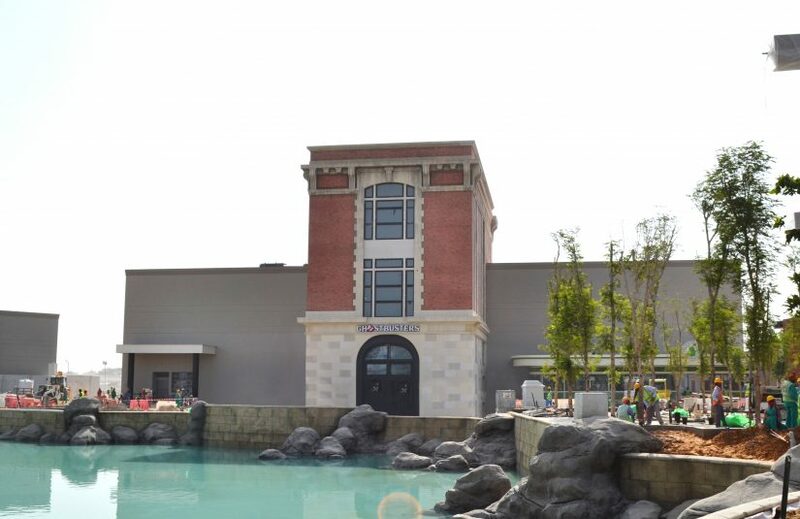 With one of the biggest years in theme park history winding down, just remember that the largest one has yet to open. 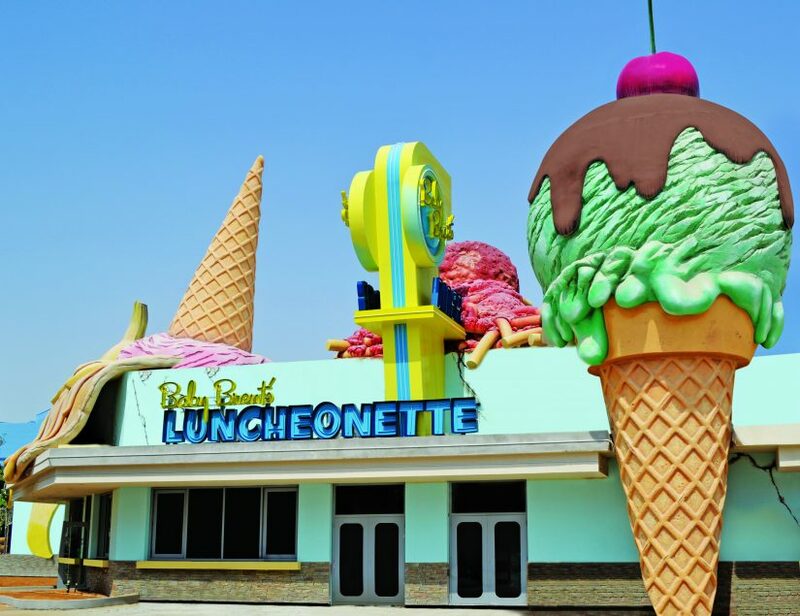 Motiongate Dubai just sent us these pictures of the park and it’s really starting to come together. Even though the park has been pushed back to a December 2016 opening date, the main entrance is starting to take shape. The movie reel looks great. 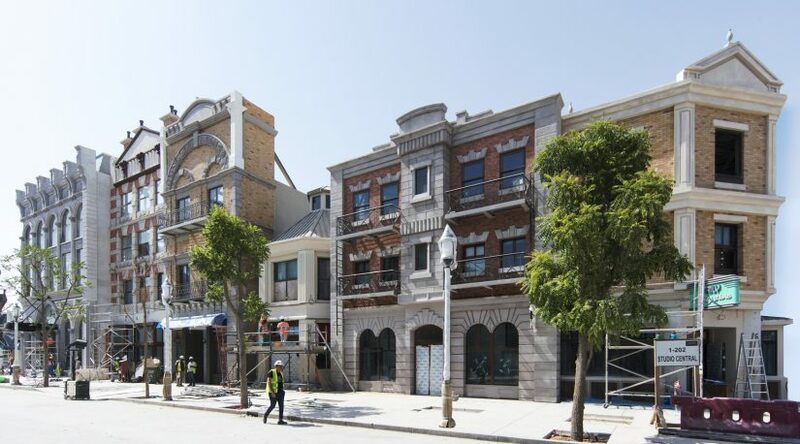 If you are already missing the backlot at Disney’s Hollywood Studios like I am, then check out how Studio Central is coming along. 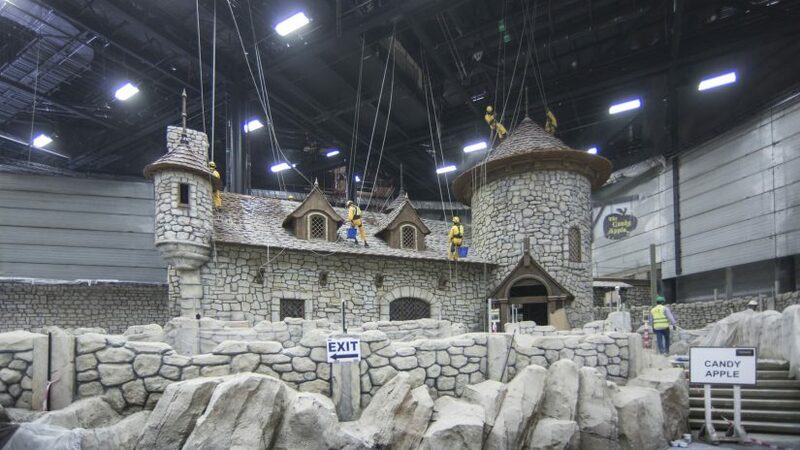 Located just beyond the main entrance, these sets can be used for filming in the park if they so choose. 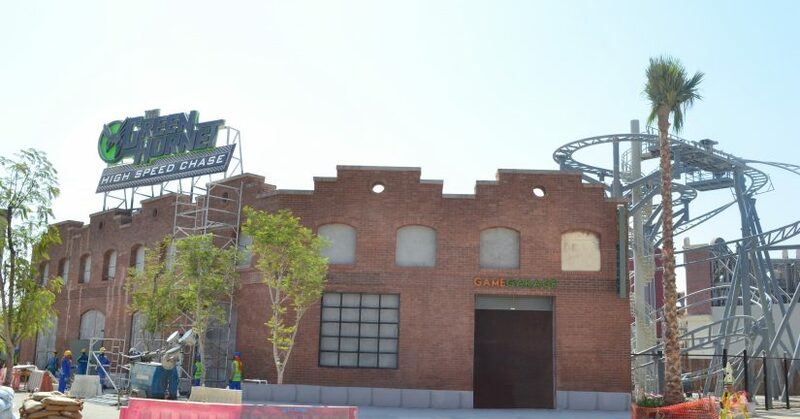 What I am looking forward to most int he park is their Ghostbusters dark ride, Ghostbusters: Battle for New York! 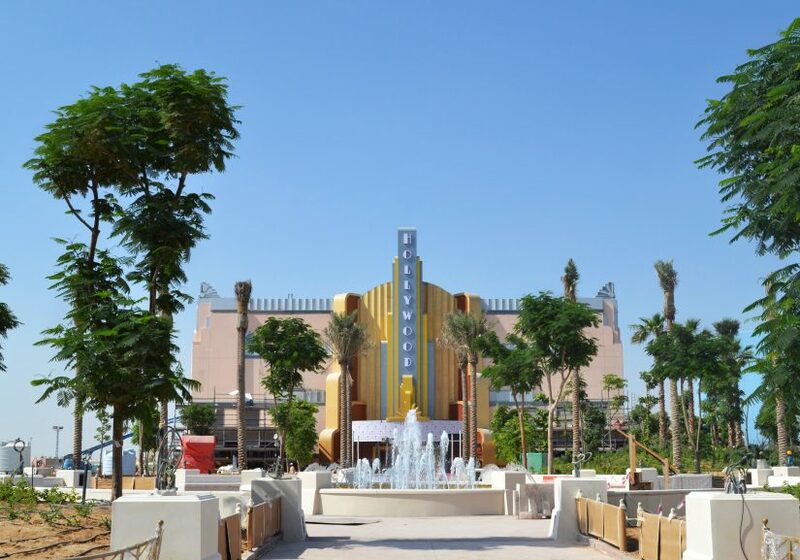 Seen above is Motiongate Dubai’s Hollywood Theater. 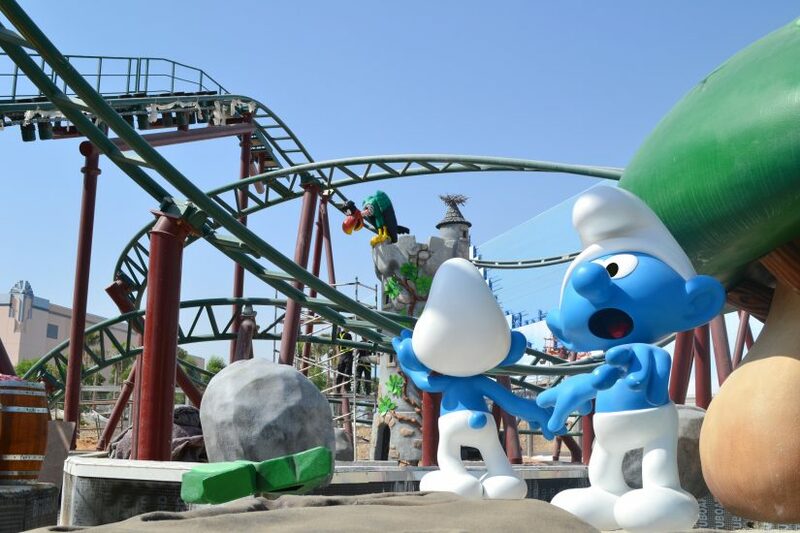 When the park opens it will feature a show called Step Up Dubai, All In! The Dreamworks area of the park is completely indoors and features the park’s fastest roller coaster. 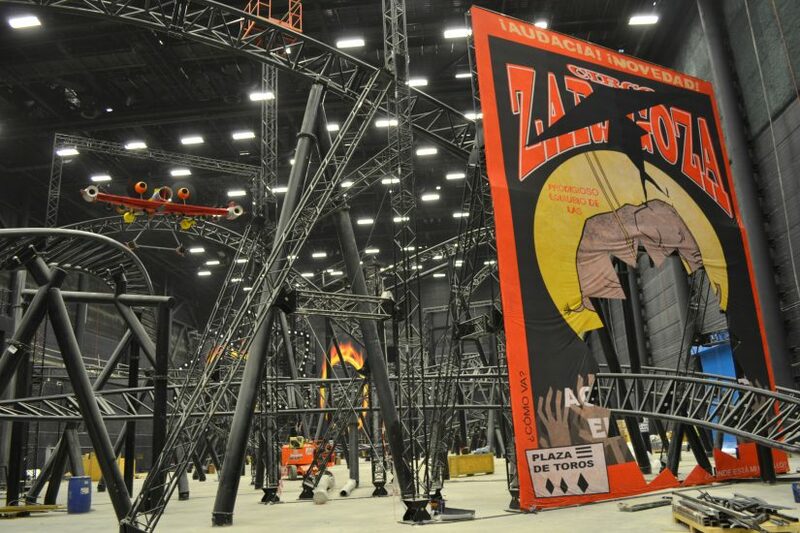 Seen above is a construction picture of Madagascar: Mad Pursuit. Just around the corner is The Candy Apple Pub. This will offer food and drinks themed to the Shrek films. 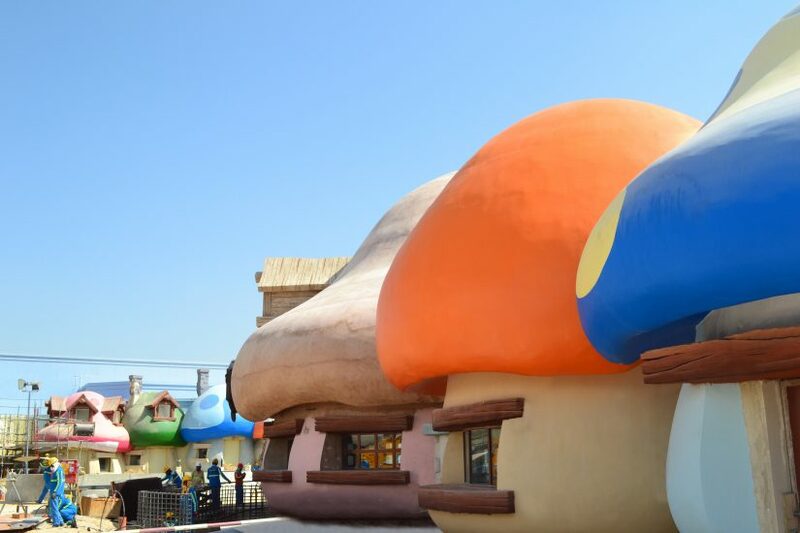 Smurfs Village is starting to take on some character! One of the parks signature coasters is also nearing completion, The Green Hornet High Speed Chase! 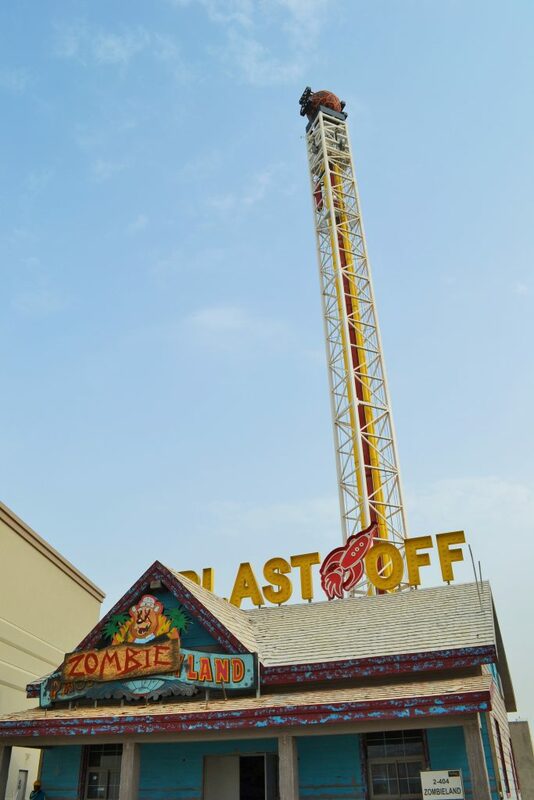 Finally, Zombieland Blast Off is also starting to take shape. 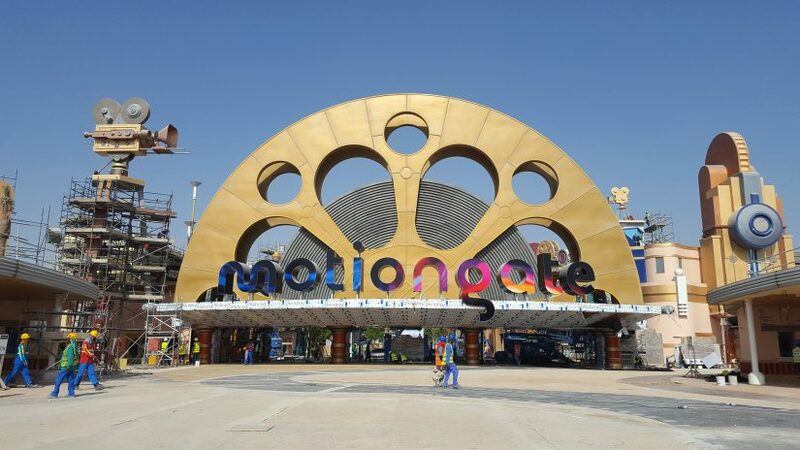 We will be covering more of Motiongate Dubai as the park gets closer to opening! This entry was posted in Theme Parks 101 and tagged Ghostbusters, Madagascar, motiongate dubai, Shrek, smurfs. Bookmark the permalink. Trackbacks are closed, but you can post a comment.